Below my name is a video on the Ford escape. Take a look and then contact me to test drive the 4 cylinder Escape. 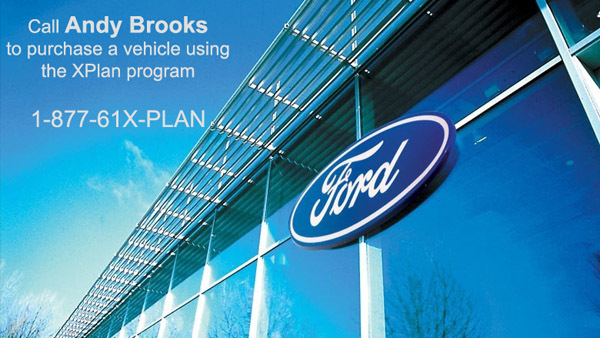 XPlan.ca UPDATE: View the current Ford rates and rebates and the Lincoln rates and rebates. Both links are updated frequently. See you soon. The new Ford and Lincoln incentives were announced today. The 2011 Ford F-150 now has up to $7,000 in dealer credits and a $1,000 Ford Credit finance cash credit for financing with Ford. There is also a new $1,000 Ford Custom Event which you can add up to $1,000 of accessories to your vehicle. The great thing about this event compared to previous events is you can use the $1,000 toward maintenance packages and extended warranty which is a much better value. The Costco rebate has been extended on Lincoln vehicles (MKZ Hybrid excluded) but is no longer on Ford vehicles. The Ford Escape still has the 72 month 0% financing and now also has a $500 Ford Custom Event credit. These new incentives are quite extensive so contact me if you are in the Toronto or York Region area and have a question. Remember, I sell vehicles for a living at Donway Ford on Eglinton Ave East. This website XPlan.ca is a service for my customers. See you soon.